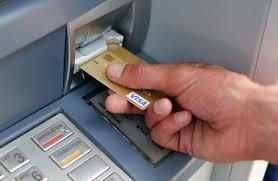 Police have brought down a band of criminals who manipulated cash machines to trap credit cards and steal thousands. The fraudsters used a method known as the ‘Lebanese trap’ in which they tampered with cash machine card slots to make people think their cards had been swallowed, police sources said. And the cards were then intercepted by the criminals along with the pin numbers swindled by placing mobile phones in strategic positions. The con men would then go to another bank’s ATM to empty the accounts. The group’s operations were organised and spanned Alicante, Castellon, Murcia, Granada, Tarragona and Girona provinces. Agents from different units had to be deployed to keep tabs on the gang – said to be of Romanian origin – because of their widespread coverage. The entire gang has now been tumbled after its leader and three other members were arrested on charges of criminal organisation, fraud and damages. Investigators have evidence of criminals using the ‘Lebanese trap’ at least 25 times to steal a value of €30,000.